AdvantaClean of East Central Ohio is a familiar name in Newark. Our professional, prompt, helpful and involved approach to crawl space restoration and other environmental services has made us a respected and trusted company. 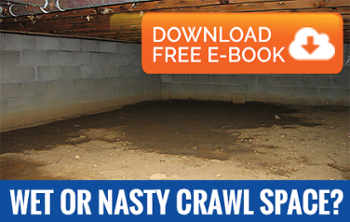 We do all kinds of assessment, repairing, cleaning and maintenance work in crawl spaces. Our condensation control and moisture management measures promote clean indoor air. They’ve been designed keeping in mind the fact that a healthy, safe and comfortable home starts with a strong crawl space. Our crawl space experts keep this part of the property dry, airy and hygienic through quality ventilation, insulation and encapsulation. The multi-pronged remedial method that we use to restore contaminated crawl spaces can help confront a variety of crawl space issues simultaneously and effectively. We do everything from decontamination, deodorization and sanitization to sealing, humidity control and conditioning. As such, AdvantaClean of East Central Ohio is your local go-to expert whenever you need to fix your crawl space. Your search ends with us.